Welcome your guests to your next fundraiser or service club event with the Lions Club Invitation. With its simple, yet bold design, this invitation template features the blue and gold colors of the organization, with the emblem at the top corner. 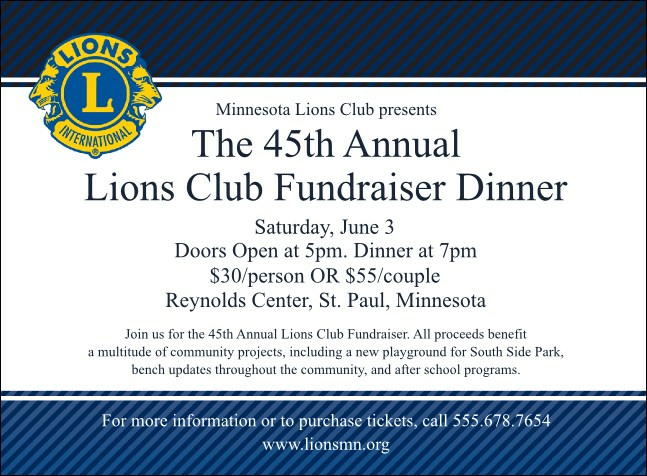 TicketPrinting.com has several Lions Clubs Event Kits to choose from.